Crowds of people stroll through the booths at the 2017 Festival of Books. Throughout March, AZPM celebrates Women's History Month by featuring an extensive lineup of special programming on PBS 6 and PBS 6 PLUS that gives viewers the opportunity to explore the rich, vibrant heritage as well as the political, scientific, social and cultural contributions of women to society. Highlights include a preview of the upcoming Masterpiece mini-series “Little Women: A Timeless Story.” Based on the beloved novel by Louisa May Alcott, the series follows four sisters on their journey from childhood to adulthood, set against the backdrop of the American Civil War. Later this month, we are proud to premier Independent Lens: Dolores about the indomitable Dolores Huerta, who tirelessly led the fight for racial and labor justice alongside Cesar Chavez, becoming one of the most defiant – and unheralded – feminist activists of the 20th century. On Friday, March 2nd at 9 pm PBS 6 will present a special edition of FRONTLINE on “Harvey Weinstein,” following Arizona 360. At 10 pm PBS 6 will air an encore presentation of #ME TOO, NOW WHAT?, the new 5-part series examining sexual harassment in America, with host and executive editor Zainab Salbi. Arizona Public Media's spring membership campaign begins March 3rd on PBS 6 and continues through March 18th. Additionally, the campaign on NPR 89.1 and Classical 90.5 begins on March 9th and continues through March 16th. I invite you to tune in and help us meet our combined goal of 2,500 pledges of support during this campaign. 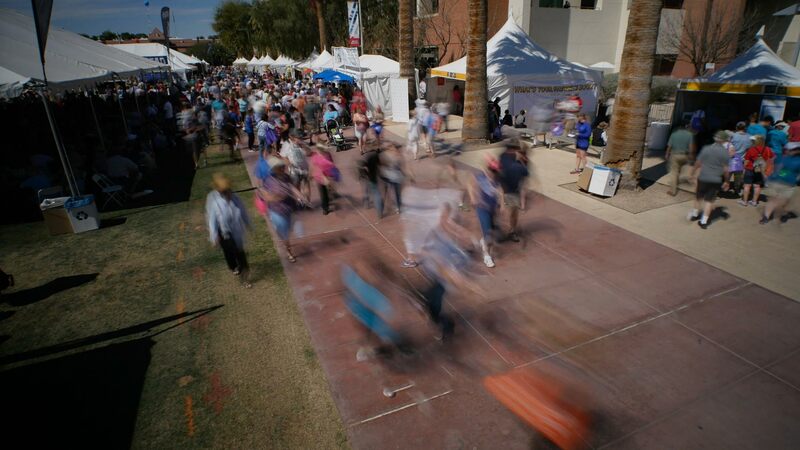 Celebrating 10 years as one of the premier literary festivals in the country, the Tucson Festival of Books will welcome approximately 100,000 visitors to the University of Arizona campus on Saturday and Sunday, March 10th-11th. Once again, AZPM is proud to be a TFOB media sponsor. This year visitors can take part in docent-led or self-guided station tours, spin the AZPM prize wheel, enjoy meeting PBS 6, NPR 89.1, and Classical 90.5 personalities and PBS Kids characters, including Clifford the Big Red Dog, Word Girl, and Daniel Tiger. Stop by and see us in front of the Modern Languages Building and in our tent on the mall (Booth #349) from 9:30 am - 5:30 pm on Saturday, March 10th and Sunday, March 11th. And finally, Daylight Saving Time starts March 11th. As always, there will be slight adjustments to our radio program schedule. Weekdays on NPR 89.1, Here and Now and Science Friday move to 11 am and Fresh Air will move to 1 pm. On Classical 90.5, The Metropolitan Opera broadcasts will start at 10 am beginning March 17th. For more information and full radio and television program schedules, please go to azpm.org. As always, we strive to bring you the very best in public media programming and appreciate your continued support.